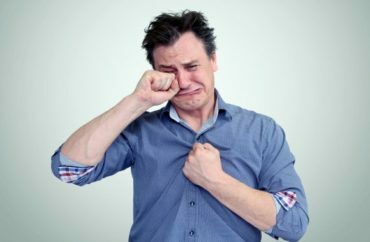 A program at the University of Texas meant to encourage “healthy masculinities” and discourage “restrictive masculinity” has been put on hold and is currently under review after negative media coverage brought it to the public’s attention. The university’s “MasculinUT” program is “currently being reviewed by a steering committee that will make recommendations to the Vice President for Student Affairs to assure the program’s mission remains clearly defined,” according to the program’s website. The program was referred for further clarification when it became clear that “some of the communication and discussion surrounding MasculinUT did not convey” the full intent of the initiative. Last month PJ Media reported that the campaign “treats masculinity as a mental illness,” something the university denied on its website. “At the same time, this program was created as a resource and support for students who want to learn more about their masculine gender identities, including students traditionally understood as male, as well as female, transgender, genderqueer, and non-binary students who embody a diversity of masculinities,” the project’s description adds. A “poster campaign” for the project shows numerous individuals, some male and some female, expressing various ideas about masculinity. In one poster, an individual states: “Even though I’m masculine, I can wear makeup, and if I feel like wearing a dress, I can do that too and it’s totally fine.” It is unclear by the photograph if the individual is male or female. “If you are a male student at UT reading this right now, we hope that learning about this helps you not to feel guilty about having participated in these definitions of masculinity, and instead feel empowered to break the cycle!” the website states. See the shuttered website here, and the archived version here.